Gumutindo Coffee Cooperative is an organisation of smallholder coffee farmers who produce washed Arabica for the speciality coffee market and live and work on the steep slopes of Mount Elgon. Owing to intense land pressure, the area suffers from severe environmental degradation and there is a high risk of landslides. Climate change poses a significant threat to coffee farmers, with erratic rainfall and increases in temperature leading to reduced coffee yields and lower quality beans. Lower production will result in loss of income, negatively impacting already vulnerable livelihoods. 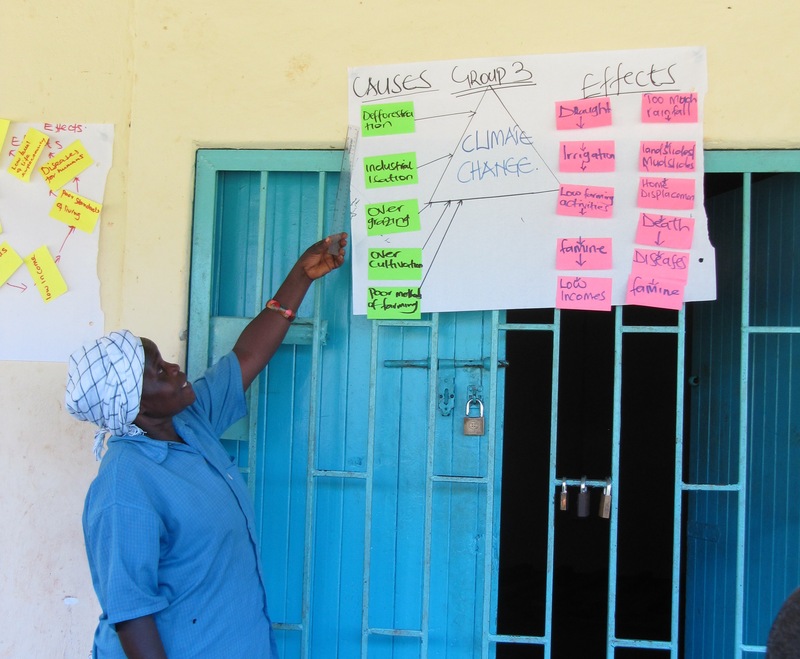 Gumutindo farmers have attended workshops to raise awareness of the possible causes and effects of climate change hazards and have identified and developed project proposals to help build local adaptive capacity. The initiative currently being implemented is a community cow share venture, to diversify income sources and provide manure for organic farmers thereby improving soil fertility and reducing erosion.